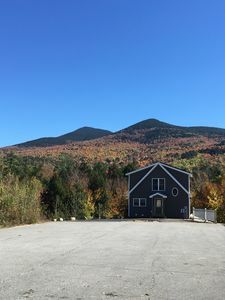 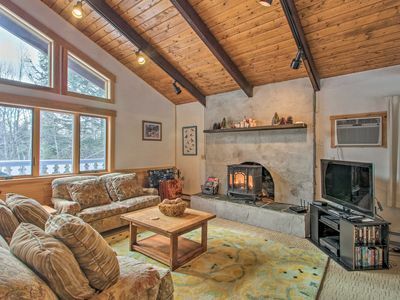 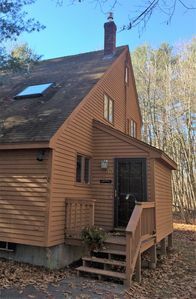 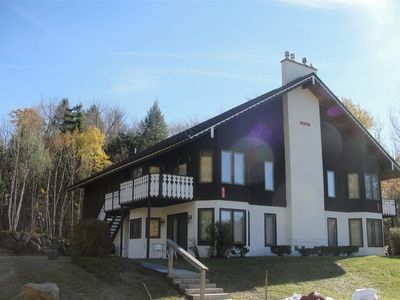 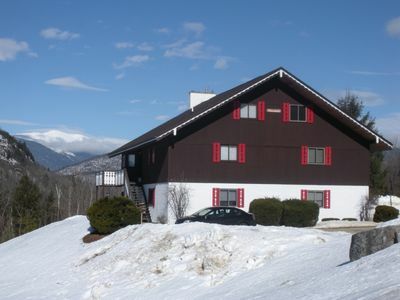 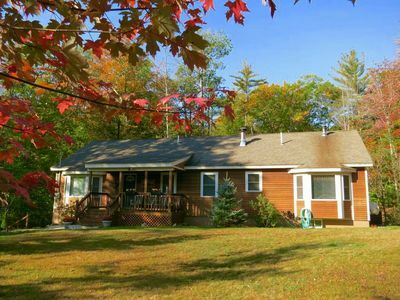 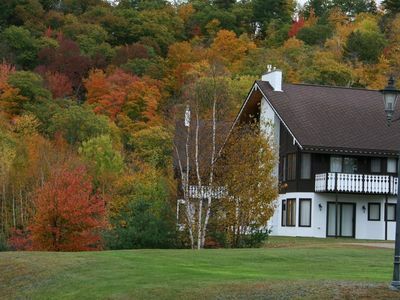 This vacation rental is close to everything and the White Mountains has to offer and just enough to stay put. 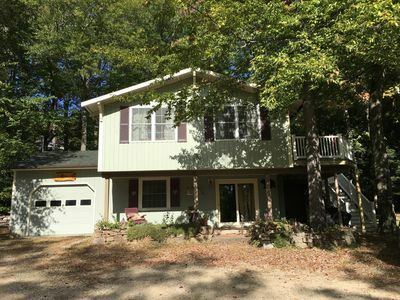 The main level has an open floor plan with a well stocked kitchen, dining area with large table, living room with fire place, TV, digital cable, DVD player, VCR (a variety of family friendly movies) and a half bath. 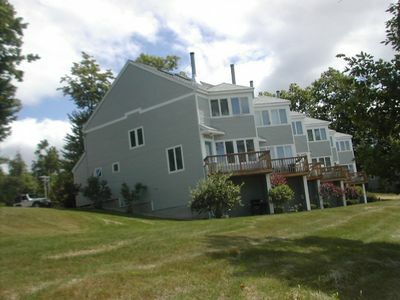 The master suite is located on the second floor with a king size bed and full master bath. 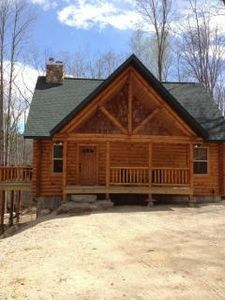 Also on the second level is a guest bedroom and full guest bathroom. 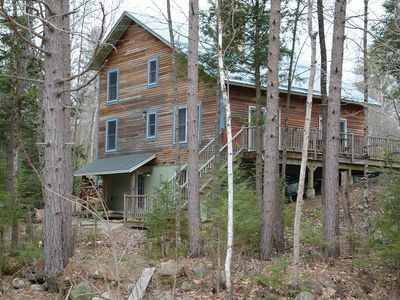 The top floor/loft has bunk beds and a trundle bed that can be used as a king or two singles. 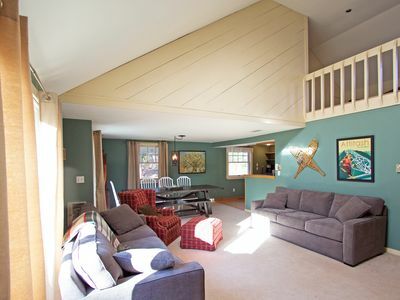 The lower level is a play room with air hockey and TV. 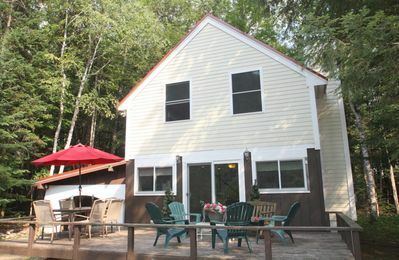 On the grounds during the summer months there is an outdoor pool, basketball net and tennis court. 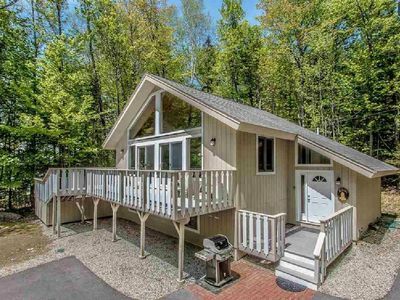 Comfortably sleeps 8. 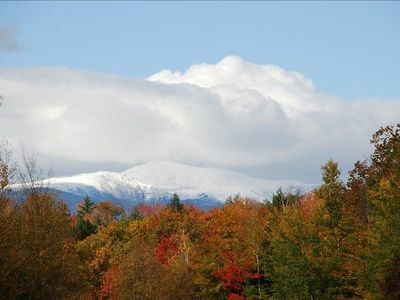 Conveniently located near all the best White Mountains have to offer. 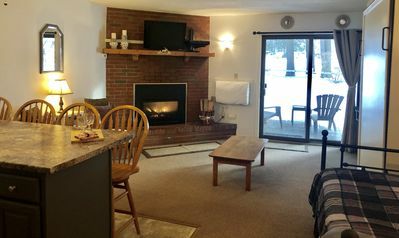 Ideal for Extended Family: Unit layout is ideal for the extended family or two families with 2000 square feet of living space. 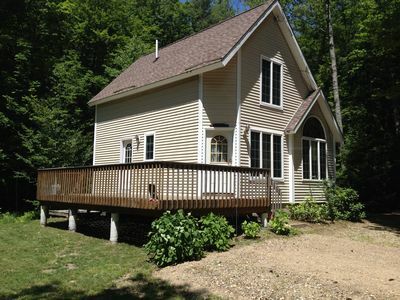 Two bedrooms plus loft allow for privacy and for the kids to have their own room. 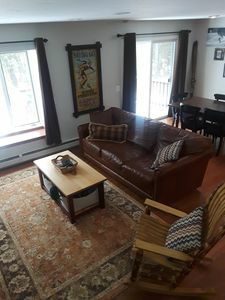 Basement play room with air hockey table allows for gown up time and lots of child play time. 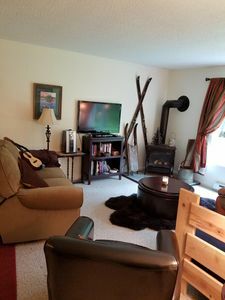 This cozy town home is stock full of old fashion fun and many modern convenience: puzzles, twister, board games and movies for DVD and JVC and of course the air hockey table for some competitive play. 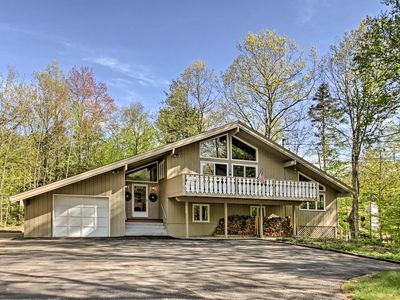 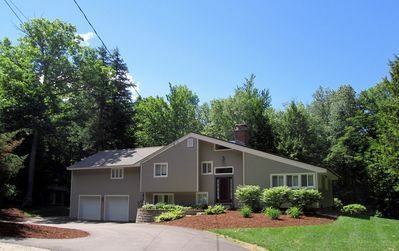 4 Bed / 2.5 Bath Close to StoryLand & Attitash!